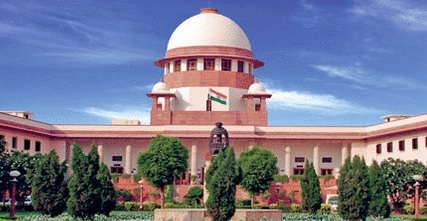 New Delhi: New Delhi: The Supreme Court on Friday turned down the plea for a probe into the alleged payout documents recovered by the Income Tax department during a search and seizure conducted on two corporate houses a couple of years ago. Copies of these documents, some released to the press here by Aam Aadmi Party and also published by a section of the media, showed that there was an alleged payout by Sahara Group and an Aditya Birla Group company to a few chief ministers and some prominent leaders. A Supreme Court bench comprising Justice JS Khehar and Justice Arun Mishra , responding to a plea by the not for profit NGO Common Cause said: “This is zero material”. Asking that the petition be taken back, the Court said return “when you have some better material”. The Court said that there should be prima facie material for investigation but right now there is no such material. Attorney General of India Mukul Rohatgi told the Court that the allegations are “scandalous and malafide”. He said that Common Cause, has resorted to kite flying. This material does not give rise to suspicion. We are not satisfied at all, the bench said adding that the matter could be heard if the NGO could produce better material on December 14.